Birkenstock Sandals for Children with flexible, non-slipping soles. 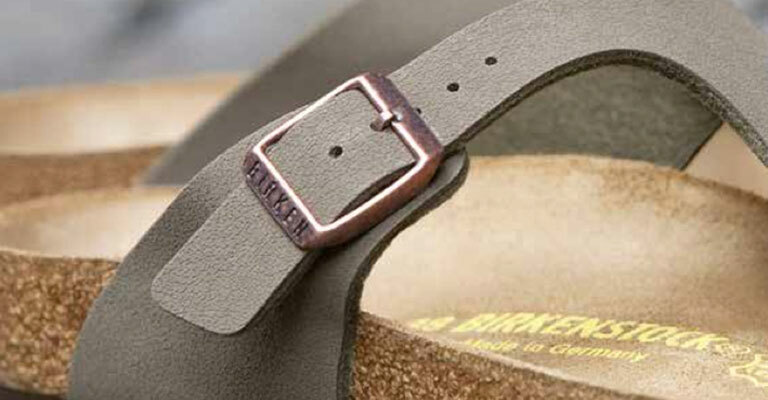 Birkenstock sandals for children are known for their flexible cork sole. The sandals also have a transverse arch support, that disperses pressure from the middle of the foot over the whole forefoot. The deep heel cup adds stability when walking and the high edge of the footbed protects the children’s toes. Sandals by Birkenstock are therefore one of the best choices for your children’s feet. The sandals can be worn all year round - outside and barefoot in the summer and inside with warm socks in the winter.